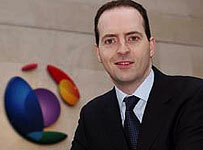 BT chief executive Ian Livingston has outlined the company’s vision for Broadband Britain to the Prime Minister, David Cameron, and the cabinet. The Prime Minister and the cabinet were visiting BT’s research headquarters at Adastral Park near Ipswich in Suffolk. This park has long been the centre of BT’s R&D activities and the home for a cluster of supporting high tech companies. The BT chief executive told the cabinet how the UK’s communications infrastructure could be transformed. Within the next five or six years, fibre based services could be available to more than 90 per cent of UK premises with the majority able to access broadband speeds of up to 100Mbps or above. Livingston also reassured the cabinet that this fibre investment would benefit areas that do not currently enjoy fast speeds. This is because the number of homes unable to achieve more than 2Mbps is set to plummet from 12 per cent of homes to less than two per cent. He also updated the cabinet on how BT is trialling new technologies such as TV White Space and LTE to improve this still further.